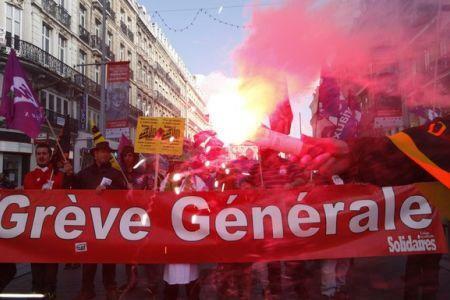 It is a French specialty, when truckers, then rail workers, then dockers, then airport staff, etc, go on strike one after the other. President Hollande, whose popularity has rock-bottomed in recent months, has remained firm: “Too many governments have given in, that’s why the country was in the state we found it in 2012. A compromise has been reached, a balance has been found, the pro-reform unions and the majority of Socialist supporters are behind this reform,” he said in an interview, though more than 1000 protesters have already been arrested and 300 people have been hurt in clashes with the police. But despite the periodical turbulences and the seasonal depression, France is doing ‘better’, in Hollande’s words. Not everybody is convinced, but some facts speak for themselves. Take the order from MSC Cruises, signed in April with STX of Sant-Nazaire, for four new cruisers. The 200,000 tons ships will be able to carry 5,400 passengers each; the first one, based on a next-generation technology, will be delivered in 2022. Then Australia selected DCNS, the French shipbuilding giant, to build 12-ship submarines. Many analysts were caught by surprise as the state-owned company — which is building 6 scorpene submarines in India with the Mazgaon docks — was in competition with the Japanese and Germany’s ThyssenKrupp Marine Systems (TKMS). The contract is said to be for US $38 billion. And of course, there is the Rafale combat aircraft which has done rather well last year: 24 planes were sold to Egypt and 24 to Qatar, and despite the prevarication of the Modi Sarkar (probably due to political considerations after the publicity around the Augusta-Westland scan), Delhi will sign for 36 pieces. France however remains hardly attractive for Indian investments. A few months ago, Business France, the national agency helping the international development of France’s economy, released its 2015 Annual Report: Foreign investment in France. It analyzed foreign investments in France and their contribution to the French economy. Though over 120 Indian companies are operating in France, employing some 7,000 people, it is not much despite companies like Aequs, a Belgaum-based company specializing in developing and producing engineering solutions for the aerospace, automotive and oil sectors, acquiring the Besançon site of the French company Sira which employs 320 people. Due to several factors such as the tough French visa policy, the labour laws (pre the 49.3 procedure), the difficulty of the language (compared to UK for example), and also the lack of knowledge about India in general, the investment climate is not rosy. Another sign: last week, the daily Le Monde published a study showing that the brain-drain from France is becoming an inescapable trend. Prepared by the Council of Economic Analysis, a report entitled “Préparer la France à la mobilité internationale croissante des qualifies” (Prepare France for qualified people’s mobility) speaks of the exodus of French brain power. According to the National Institute of Statistics, between 3,3 and 3,5 million people, born in France and aged between 25 and 55, live abroad. The rate of expatriation has doubled between 1980 and 2010, and though the emigration is less than in countries like Germany and the emigration and immigration of qualified people more or less balances, the worrying aspect is that the incoming brains do not settle in France for long; they usually return to their country after a few weeks. Despite all this, France is the world’s top tourist destination (with 84.7 million foreign tourists in 2013) and tourism is a key sector of its economy, accounting for more than 7% of GDP and two million direct and indirect jobs. There are indeed many great eatable and drinkable goodies which we can’t advertise in these columns, and though the state of Emergency is still in force after the terrorist attacks of November 2015, the picturesque villages, the old manors, the quiet rivers and the inimitable capital, Paris with its cafes, museums or shows, remain very special. My country of origin (and Asterix’s too) remains “Douce France, doux pays de mon enfance’’ (Sweet France, Sweet Country of my childhood). My parents’ generation loved these lyrics of the famous French crooner Charles Trenet. Changing France, even if not always innovative France (mainly due to the seasonal strikes), remains charming France. Phayul.com reported that the Tibetan edition of my book Dharamsala and Beijing: the negotiations that never were was launched yesterday in Dharamsala by the Library of Tibetan Works & Archives (LTWA), which edited the translation. 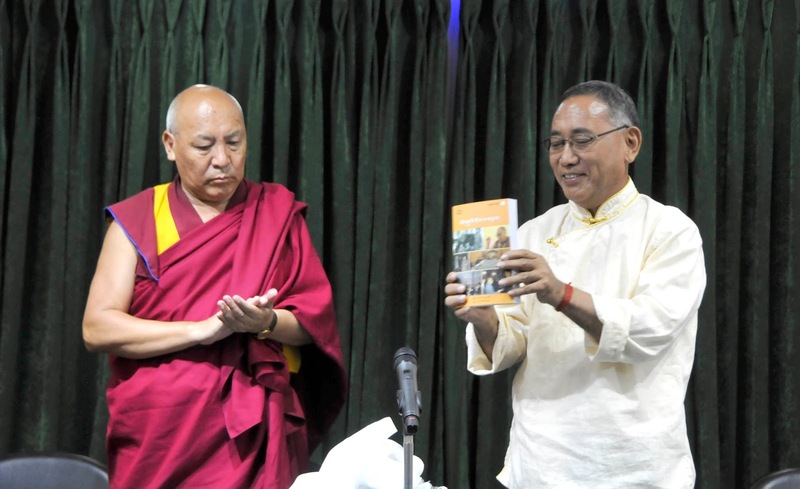 The Dharamsala-based webiste said: "The Tibetan translation of the book Dharamsala and Beijing: The Negotiations That Never Were by noted scholar Claude Arpi was launched today by the Minister of Education (Kalon) Ngodup Tsering at the LTWA in Gangchen Kyishong." The book is enriched by the author’s deep access to all the Tibetan principals involved in the dialogue process and the actual negotiations. It is also enriched by the author`s own extensive research on a subject much commented but little researched on. 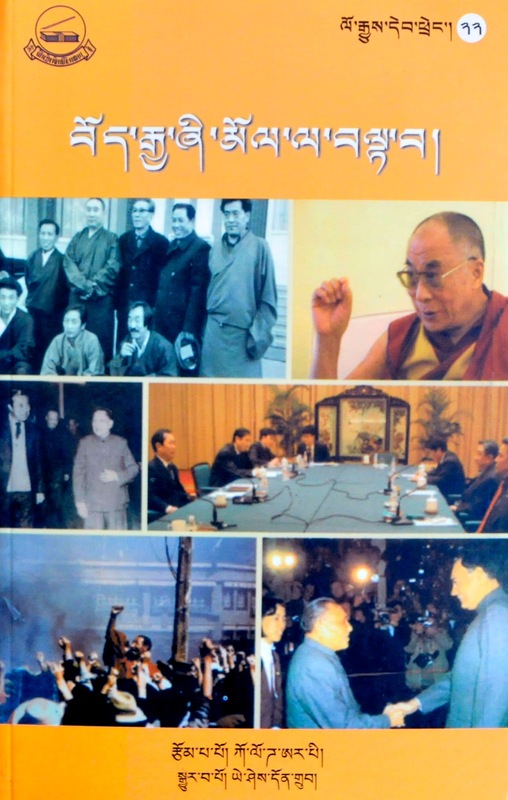 The Negotiations that Never Were will form the basis of future Sino-Tibetan negotiations literature because the book's enduring contribution to this literature is the blow-by-blow accounts it gives of all the contacts and discussions between Dharamsala and Beijing. The annexation of an independent Tibet is irrefutably outlined in Claude Arpi’s book, Tibet: The Lost Frontier, which was published last year. Arpi, a Frenchman based in South India, is arguably India’s most effective communicator of the Tibetan cause. He displays the research of a scholar and the insight of a strategist. This year he has written a follow-up book, Dharamsala and Beijing : The Negotiations that Never Were, published by Lancer Publishers. The book is an eye opener. It meticulously describes the entire farcical engagement since inception between Beijing and the Dalai Lama’s aides. That was when this reviewer through an article in 1960 demanded Nehru’s resignation. As a junior he made this reasonable demand when media doyens critical of Nehru’s China policies such as S Mulgaokar and Frank Moraes could not bring themselves to state this. No wonder it took a child to blurt that the Emperor wore no clothes! Zhou told Nehru that he was ignorant about the McMahon Line until he studied the border problem. And today China claims Arunachal Pradesh to be part of China! Beijing and Tibet broke ice. 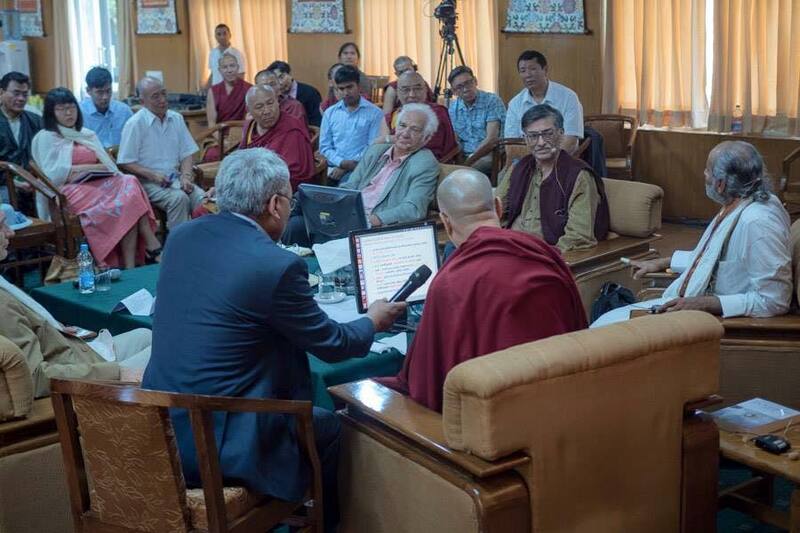 Beijing allowed fact-finding missions from Dharamsala to visit Tibet and view its progress. 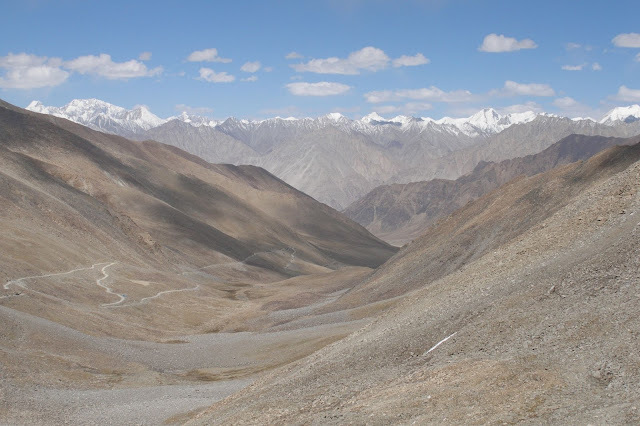 The Chinese genuinely thought that better roads and infrastructure had made Tibetans happy. The frenzied reception given to the Dalai Lama’s representatives by the Tibetans stunned them. Four succeeding missions were doomed to fail. I think the Chinese fail to empathize with Tibet because Tibetans believe in God. Most Chinese don’t. Claude Arpi’s book exposes the painful repetitiveness of all contacts between China and Tibet, between China and the rest of the world. Tibet was like a woodpecker trying to penetrate a block of steel. The Chinese refused to countenance the slightest change in Tibet. In 1988 Dalai Lama made the Strasbourg Proposal and adopted the Middle Way, demanding autonomy instead of independence. Beijing kept calling him a ‘splitter’. China continued to lie and deceive the world to keep talks going. Only once in 60 years did a senior Chinese official speak the truth. In 1980 CCP General Secretary Hu Yaobang admitted: ‘Our party has let the Tibetan people down. We feel very bad!’ Very soon he had to eat his words and fall in line. The world kept hoping for China to change. It was a futile hope. Lhasa was advised by the Americans not to ‘rock the boat’. Around the same time, a cable from Henderson to Dean Acheson, the US Secretary of State stated, “during the conversation, Mr. Graves [of the UK High Commission in Delhi] showed me a Hansard report [verbatim report of proceedings of the British Houses] of December 14, 1949,” to which was attached a 1943 memorandum mentioning the British position with respect to Tibet; the memorandum stated the Tibet was a ‘de facto independent’ country. However the British too did not want to ‘rock the boat’. This came back to mind, when the controversy erupted regarding the cancellation of a ‘tourist visa’ for Dolkun Isa, Executive Chairman of the Munich-based World Uyghur Congress. Isa was to attend a ‘conference’ at Dharamsala in Himachal Pradesh. The media immediately took up the issue: why was the visa suddenly revoked without reason? Soon the Modi Sarkar was accused of behaving like its predecessors. Most observers saw a retaliation against China’s decision to put a hold India’s request to add Masood Azhar, head of the Pakistani-based group Jaish-e-Mohammad, to the UN’s blacklist. On the Isa issue, China was quick to respond: the Chinese Foreign Ministry said that the Uyghur leader was under a ‘red-corner’ Interpol notice and should be arrested as he was a terrorist. The restive province of Xinjiang is an extremely sensitive issue for China, as Beijing believes that Islamist militants and Uyghur dissidents are colluding to establish an independent state, Eastern Turkestan. Though the Ministry of External Affairs was apparently not aware of the Conference and the visa given to Isa, most observers first thought that Prime Minister Narendra Modi was finally decided to ‘rock the boat’. First, could Isa have attended the ‘conference’ on a tourist visa (or e-visa)? Whoever has organized this type of event in India, knows that foreign participants need a ‘conference visa’ which is not easy to obtain. Further, the Dharamsala ‘conference’ was bound to be controversial; it was organized by the US-based Citizen Power for China, a group led by Yang Jianli, one of the protagonists of the 1989 Tiananmen Square protests (incidentally Yang was present in Dharamsala). Granting Isa an electronic visa made it easier to cancel the permission to visit Dharamsala at short notice. The MEA could show its ignorance of the event. Cancelling the visa while still holding the meet, even in camera, indicates that the Indian Government was keen to convey the message to Beijing, ‘don’t play with fire concerning terrorism’, and at the same time, allowed Delhi a strategic retreat. Delhi wanted to ‘rock the boat’ to a certain extent only. It is why visas granted to other Chinese dissidents like Lu Jinghua and Ray Wong were also cancelled. Lu, also a participant in Tiananmen protests, figures on a Chinese list of ‘major criminals’. She learnt of the withdrawal of her visa only after reaching JFK to enplane for India on April 25. The visa for Hong Kong pro-democracy activist Ray was also reportedly withdrawn around the same time. Delhi later said that Lu’s visa was withdrawn because her documents were ‘ineligible’ and there was an ‘inconsistency’ about the purpose of her visit. Obviously, she was not going to Himachal for ‘tourism’. According to the Chinese website of Radio Free Asia, several other activists were banned from the meet, in particular five individuals associated with the World Uyghur Congress. Hong Kong activist Alex Chow, who co-organized the pro-democracy Umbrella Movement in 2014, told Quartz that he too was denied a visa. But it is not the point; the important point is that the gathering took place. One may well ask: has Delhi become an adept of Sun Tzu’s Art of War? The Chinese Master in one of the 13 chapters of the book, writes about ‘Variations and Adaptability’, emphasizing on flexibility during a conflict. Delhi needed to use flexibility after the high profile visits of Defence Minister Manohar Parrikar and National Security Advisor Ajit Doval to China (and before President Prabab Mukherjee’s trip to Beijing later this month). To cancel a ‘tourist visa’ was abandoning a bit of territory, but the main ‘battle’ was won; the ‘conference’ was held, though informally and amidst media blackout. And before that, 60 participants were granted a two-hour audience with the Dalai Lama to discuss …China and democracy. Edward Leung Tin-kei of Hong Kong Indigenous was one of them. Hong Kong radical activist described the encounter with the Tibetan leader as a ‘rare opportunity’: “I’ve never thought I could meet Dalai Lama, the spiritual leader. This doesn’t happen every day,” Leung told The South China Morning Post. Chow Hang-tung, working for an Alliance in Support of Patriotic Democratic Movements in China was another Hongkonger attending the closed-door meet. “It was very inspiring”, Chow said. Ursula Gauthier, the French correspondent of L’Obs, who was recently expelled from China for questioning China’s interpretation of ‘terrorism’ and Anastasia Lin, Miss World Canada, were also present. Who takes this Cold War language seriously today? General Chang obviously forgot ‘democratic means’ in his list. Though the perception in India was that the Modi Sarkar had retreated, it may not be the case. Beijing has got the message loud and clear: India can do it again and the next time, with proper ‘conference visas’.